Who doesn't like the age old hot chocolate fudge, the great combination that is vanilla ice cream, chocolate sauce/brownie/cake and some roasted nuts. 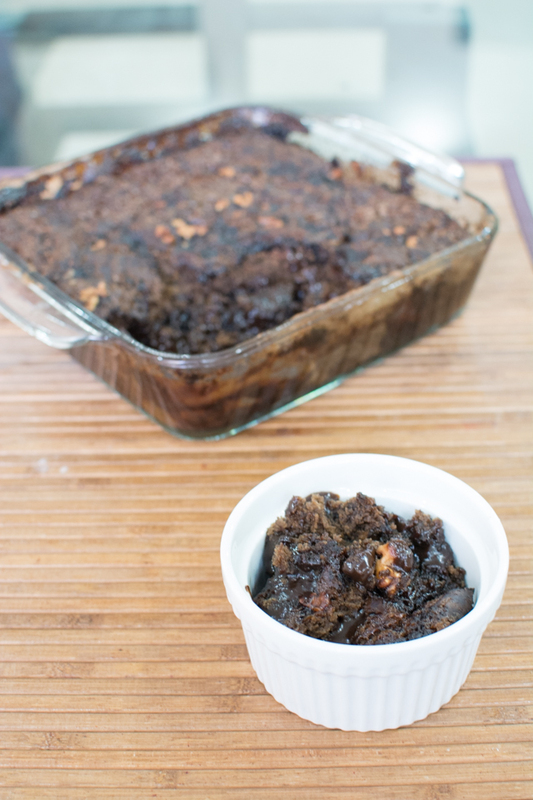 These desserts come in many form but we can promise that you haven't tasted anything like this Chocolate Cobbler. 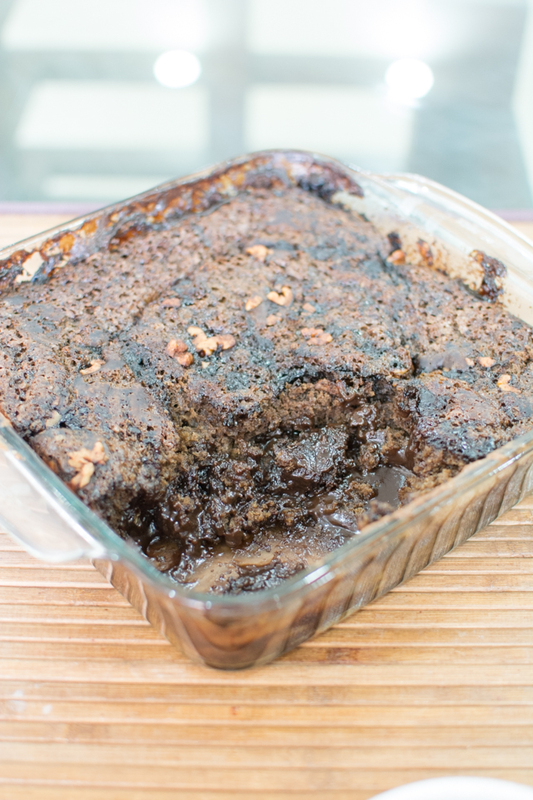 The most amazingly sinful chocolate dessert, which is surprisingly easy to make. Make one and delight your guests. 1. In a bowl, combine the flour, icing sugar, 3 tablespoons cocoa powder, baking powder, espresso powder, and salt. 2. In another bowl whisk together milk, melted butter, and vanilla. 4. Grease baking dish with oil and dust with flour. 5. 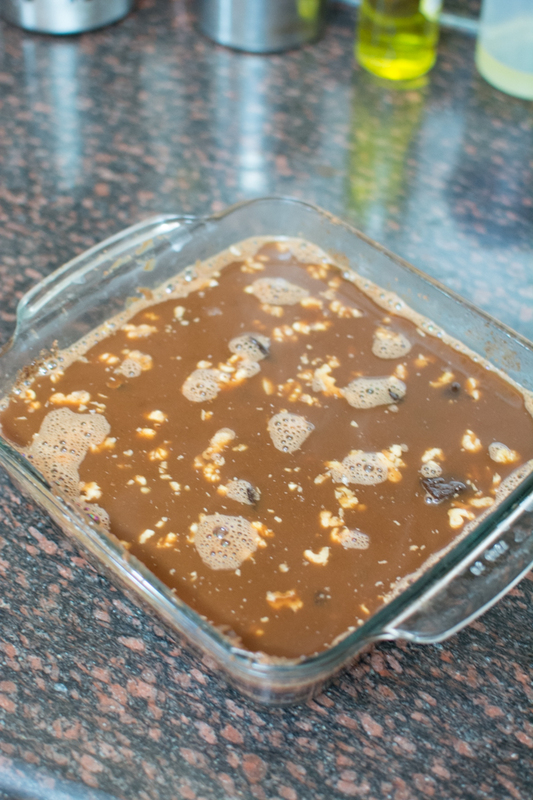 Pour into the prepared baking dish. 6. In a separate bowl, combine the brown sugar and remaining 2 tablespoons cocoa powder. 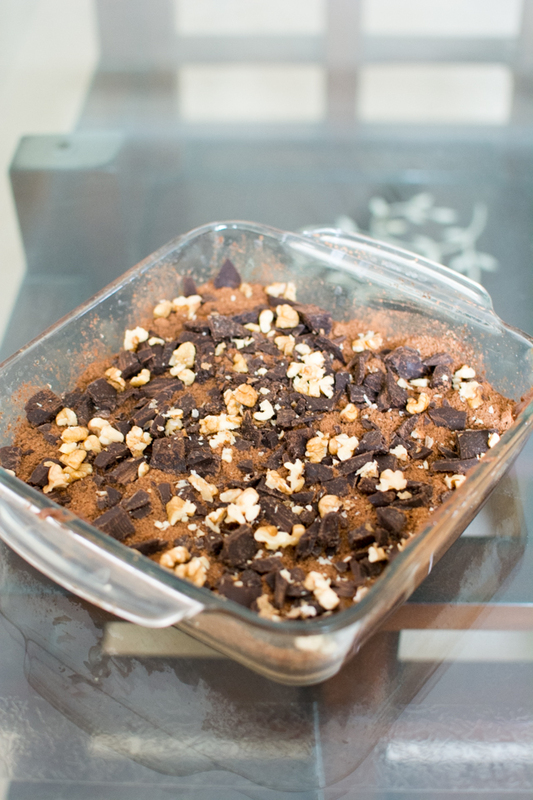 Sprinkle the brown sugar-cocoa mixture evenly over the batter, followed by the chocolate and walnuts. 7. Pour the hot water over the top, but do not stir. 8. Pre heat the oven at 175 degree Celsius for 5 mins. 9. Transfer the baking dish to the oven and cook for 40 minutes, until the center is just barely set. 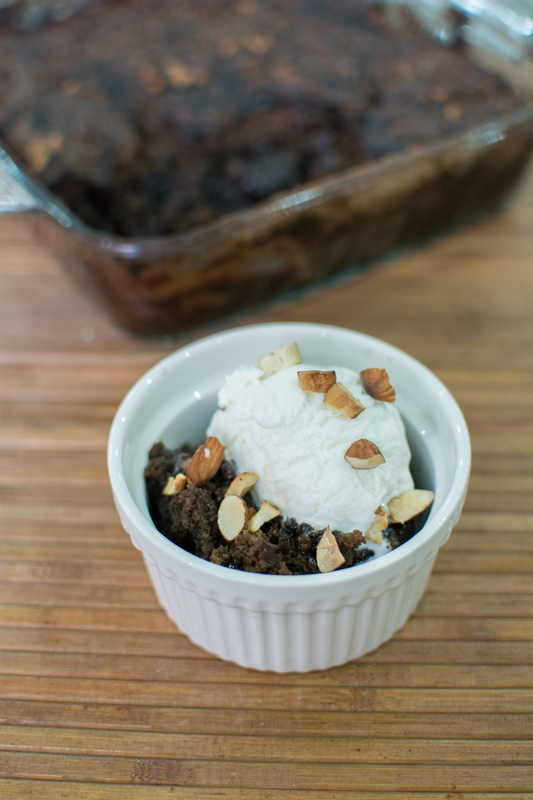 Allow to cool for 5 to 10 minutes before serving warm with vanilla ice cream.